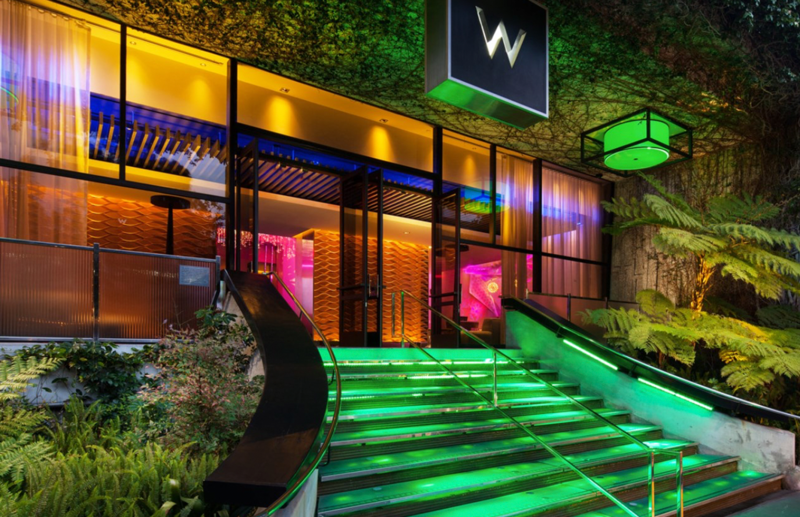 The W, formerly the Westwood Marquis, sits in a quiet residential neighborhood in the village of Westwood. The full scale renovation to convert to W standards included reconfiguration and renovation of 258 one and two-bedroom suites, public areas and a new health spa and pool bar. This full-service hotel caters to the Hollywood movie and music industries in addition to upscale business clientele.